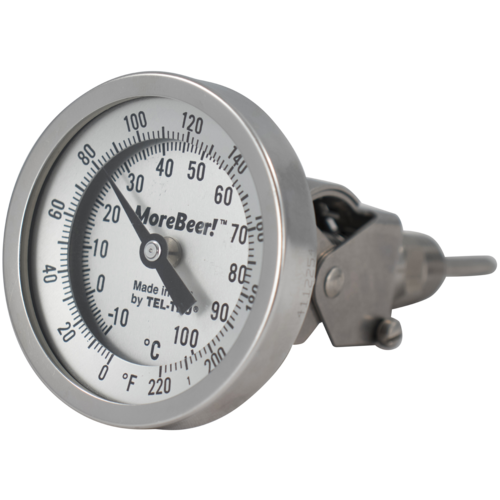 This MoreBeer! 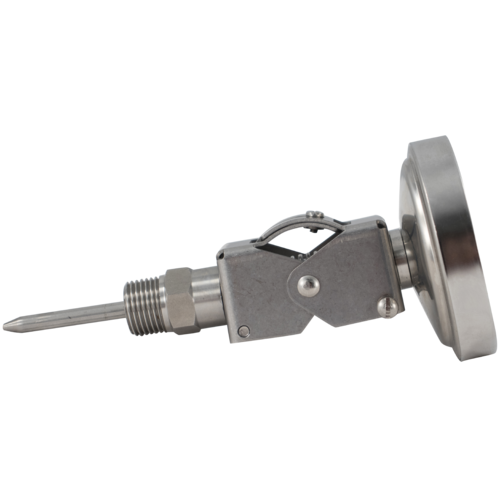 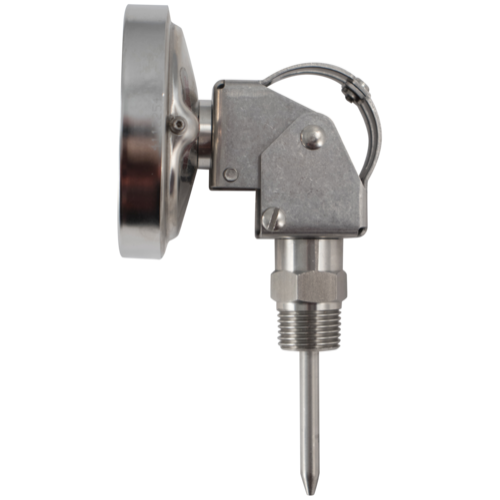 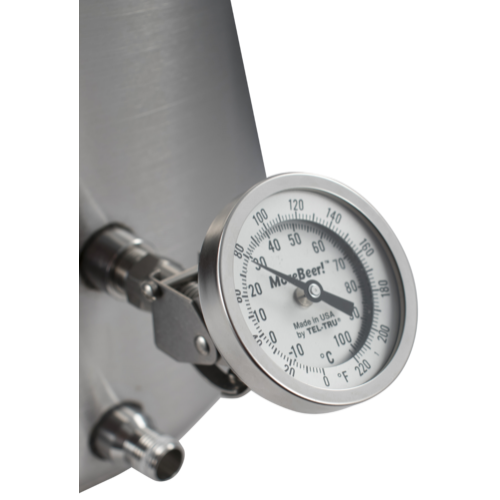 adjustable thermometer is great for any brewer that doesn't have their kettle's thermometer port at eye-level, which is probably most of us! 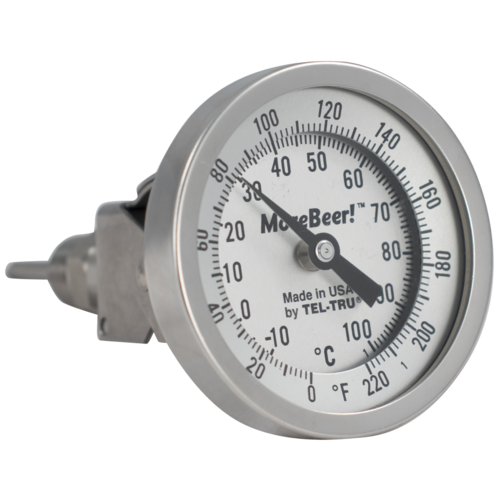 Instead of bending or crouching to read your kettle thermometer, adjust this thermometer to whatever orientation that best suits your brew system. 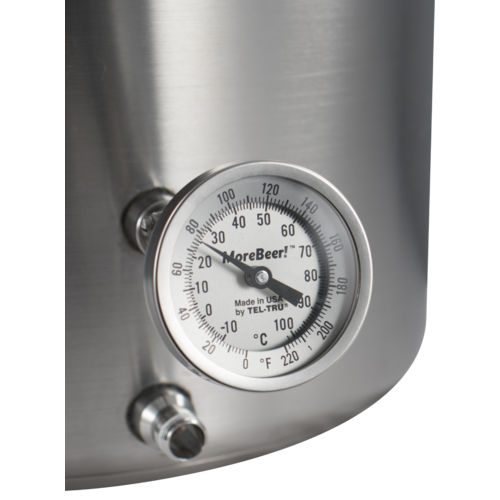 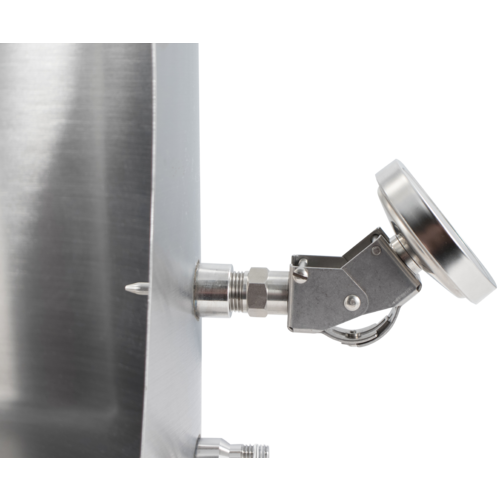 The face of the thermometer can be angled up to 90°, allowing it to be easily read while you're standing over your boil kettle, mash tun or hot liquor tank. 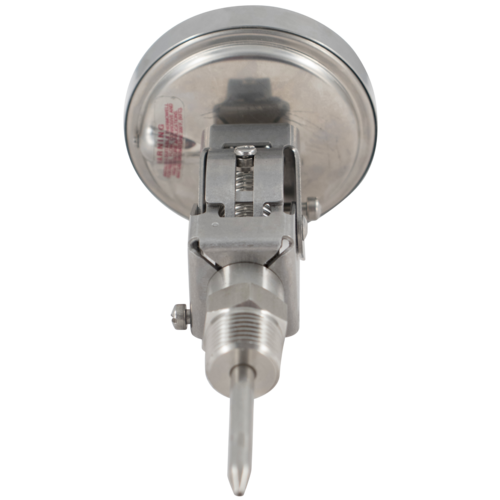 The dial face can also be rotated a full 360° for even more orientation options. 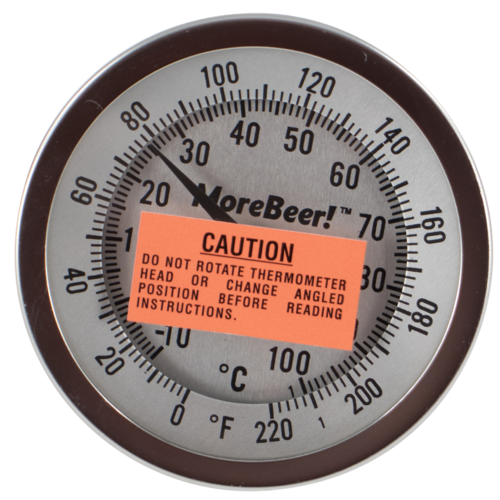 This is a great feature if you want the dial needle to point straight up-and-down when you hit a certain temperature, making it even easier to reference the thermometer at a glance. 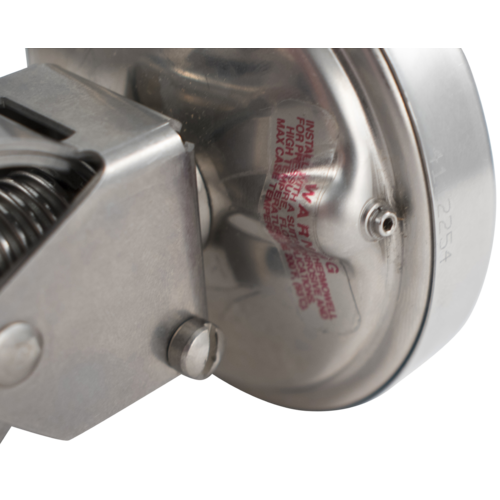 Be sure to read the instructions before attempting to adjust the face orientation! 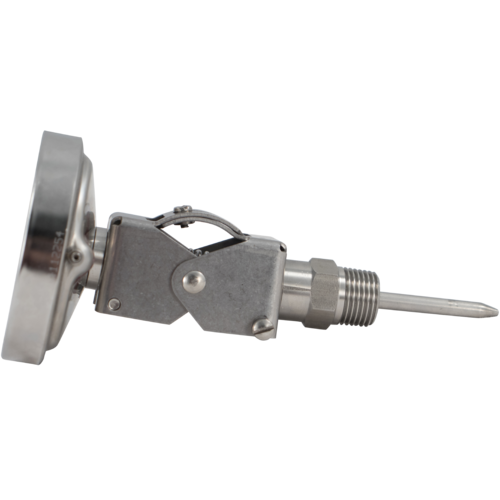 Screws on the body of the thermometer need to be loosened (not removed) before adjusting.